EDIT 12/14/14: I’ve recently come up with a new way to get liver in my diet EVERY SINGLE DAY in a way that I never have to taste it. Go check out the post here! This is a liver recipe for people who don’t like liver. There are two truths in my life about liver. 1. I hate the taste of liver with every part of my being. 2. I know it’s the most nutrient dense food on the planet so I force myself to eat it anyway. It’s not that I’m squeamish. Oh, believe me, I can get over the fact that I’m consuming an animal’s liver. I just cannot get over the taste and the texture, no matter how it’s cooked. I tried frying it with onions and sour cream: I couldn’t finish more than half of the meat. Then I tried cutting it into tiny, tiny pieces to minimise chewing time, taking spoonfuls and quickly washing it down with water: I still gagged the whole way through. I even made a putrid liver ‘shake’ with bone broth and cooked liver meat (nutrient level: 10, deliciousness level: -1000), which I chugged while I held my nose, only to discover that the aftertaste lingered even worse than just eating the stuff — and even mouthwash couldn’t seem to get rid of the taste in my mouth. Yuck, yuck, yuck. There is, however, one way that I’ve been able to prepare liver that is tolerable. The taste is still there, but it’s not quite as strong, and even I am able to eat it without gagging (which is pretty much miraculous). 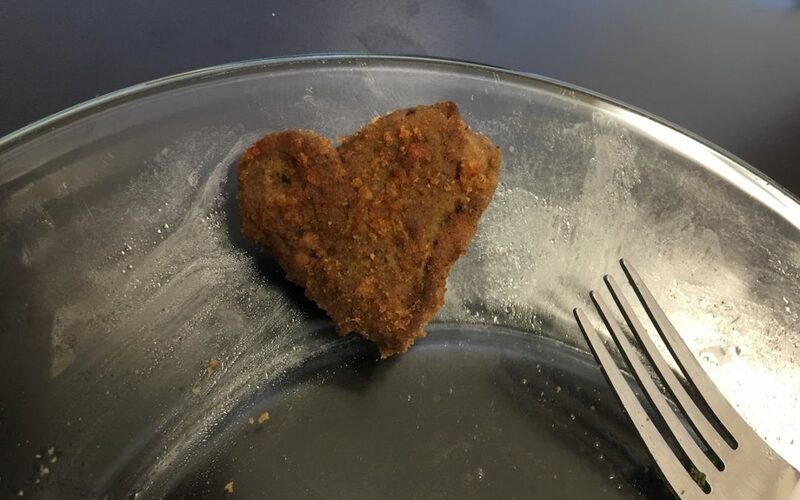 So, if you are as grossed out by the taste and texture of liver as I am, but you still want to work some into your diet to benefit from its nutritional awesomeness*, give these meat patties a whirl. Now, I’ll show you how to cook liver so that you don’t taste the liver! 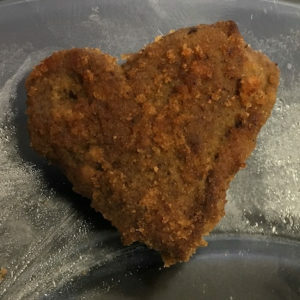 The trick is twofold: first, I use chicken livers and hearts mixed together. I find the chicken liver more mild than beef liver, and with the chicken hearts the liver flavor doesn’t come through so strongly. Second, I throw as many ultra-flavorful ingredients in the patties as possible to help mask the ‘loud’ flavor and texture enough that it’s not so noticeable. I like to use the recipe from Balanced Bites to make my own Italian Sausage Spice Blend..
AKA "I Can’t Believe It’s Liver!" Meat Patties. An offal (but not awful!) recipe with chicken hearts and liver, where the taste is hidden with flavorful garlic and herbs. Use a meat grinder or food processor to mince the livers and hearts, onion, garlic and green onions. Whisk the egg with the seasoning, salt and pepper in a large bowl and add the ground liver/onion mixture to the bowl. Mix thoroughly. Preheat a skillet to medium and add the fat. Using a large spoon, drop spoonfuls of the mixture onto a skillet heated to medium. When browned on one side, carefully flip over and brown the other side. To make it even more mild, you can also use half pork and half chicken livers/hearts for the meat. If you make these or any of my other recipes for organ meats, use the hashtag #itsjustoffal on Instagram and Facebook! I love to see what you guys come up with! *In my searches for ways to consume liver without actually tasting the liver, I’ve found a few other resources. If you absolutely cannot stand the taste whatsoever, these can be good options! Where is the seasoning recipe? Whoops, it looks like it didn’t come through! I’ve updated the post now (good spotting!) but the link is also here: https://balancedbites.com/content/easy-recipe-italian-sausage-spice-blend-from-practical-paleo/ Happy cooking!